A star sapphire is a type of sapphire that exhibits a star-like phenomenon known as asterism. Star sapphires contain intersecting needle-like inclusions (often the mineral rutile, a mineral composed primarily of titanium dioxide that cause the appearance of a six-rayed 'star'-shaped pattern when viewed with a single overhead light source. Blue sapphires are evaluated based upon the purity of their primary hue. Purple, violet and green are the normal secondary hues found in blue sapphires. Violet and purple can contribute to the overall beauty of the color, while green is considered a distinct negative. Blue sapphires with no more than 15% violet or purple are generally said to be of fine quality. Blue sapphires with any amount of green as a secondary hue are not considered to be fine quality. Gray is the normal saturation modifier or mask found in blue sapphires. Gray reduces the saturation or brightness of the hue and therefore has a distinctly negative effect. Sapphires are mined from alluvial deposits or from primary underground workings. The finest specimens were mined in Kashmir, in the northwestern section of India, from about 1880 to 1920. They have also been mined in Myanmar, Madagascar, Sri Lanka, Australia, Thailand, India, Pakistan, Afghanistan, Tanzania, Kenya and China. All three famous sapphires, the Logan sapphire, the Star of India and the Star of Bombay originate from Sri Lankan mines. Madagascar leads the world in sapphire production specifically in and around the city of Ilakaka. Prior to Ilakaka, Australia was the largest producer of sapphires (as of 1987).In the United States sapphires have been produced from deposits near Helena, Montana. 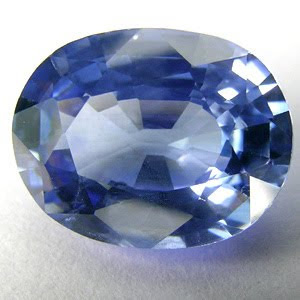 Gem grade sapphires and rubies are also found in and around Franklin, North Carolina.